Apple’s smartwatch is supposed to have a battery life of 18 hours—and while that is a full day of activity, wearers do forget to charge the thing overnight. Thus begins the race to bring us gadgets for charging on the go, like this contender by Dutch wireless charging company Zens. This puppy, announced at CES in Las Vegas today, juices your power-sucking, app-filled Apple Watch on the go, no cords or cables required. It can fully charge your timepiece up to four times, and it’s even got Apple’s stamp of approval. It goes on sale in March for about $55. Expect to see more power banks rolling out this year. Last year, this one earned over $100,000 in funding on Kickstarter, for example. 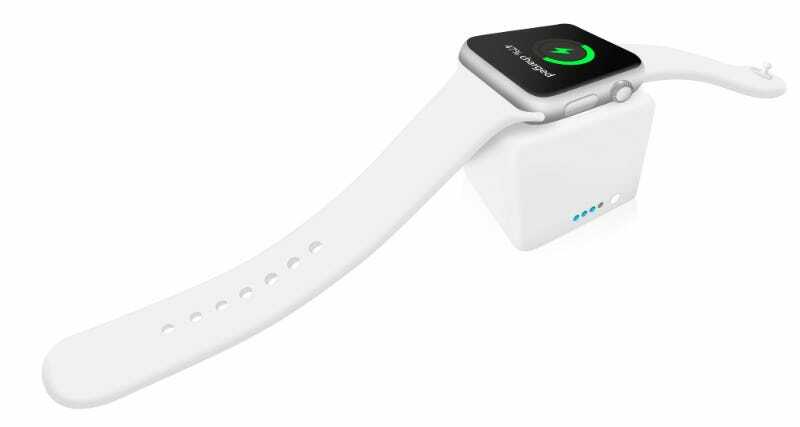 And just today, Griffin unveiled an Apple Watch power bank of its own, also portable and ready to recharge your smart wrist accessory four times. Smart watches are fun, but in between apps, internet, games, messaging, mapping, and more, their batteries get zapped lickety split, so constantly charging them kind of defeats the purpose of their mobility. But power banks like these could be the portable, if clunky, solution—for now.